The Margaret Fulton Cookbook was first published in 1968. The version I have was published in 1974. A revised and updated edition was published in 2010. That is over 40 years!! I am sure every Australian knows the name “Margaret Fulton”. For the non-Australians reading this post, Margaret Fulton is credited with teaching Australians how to cook. Her early recipes encouraged Australians to deviate from the Australian staple of ‘meat and three vegs’ and to be creative with food. Margaret Fulton also introduced ‘foreign’ food to Australians. With her influence, Australian cooking began to diverge from its English roots. I bought my copy of The Complete Margaret Fulton Cookbook from a second hand bookshop in the city one lunch break. On the same day, I also bought the American classic: The Joy of Cooking. That was a very successful lunch break. I have found, when revisiting this book for The Cookbook Guru, that a lot of the savoury recipes have dated but the sweet recipes seem to have survived the test of time. On this blog, I have already featured two recipes from The Complete Margaret Fulton Cookbook: Speculaas (see also Speculaas Mark II) and Glazed strawberry tart. It is a great recipe for those who don’t have much equipment in their kitchen. I remember the first time I made these biscuits. It was just after our house in Bridgetown was finished and we were expecting guests. We didn’t have an electric mixer or much else in the kitchen so I went through my biscuit recipes until I found one that didn’t need any equipment. Those days are long gone. Our kitchen is now well and truly equipped. The name of the biscuits is a bit of a misnomer. The butter is not actually burnt. Margaret advises that “the butter should be only a light hazelnut colour”. When the butter changes from golden to a light golden brown, remove it from the heat. Do not let it burn. *To blanch the almonds: pour boiling water over them and leave for a few minutes, slip the skins off then lay them out on absorbent paper to dry. Melt the butter in a saucepan over medium heat. Allow it to colour to a light golden brown then remove from the heat. Cool slightly. Measure the sugar into a bowl, add the melted butter and beat well. Fold in the sifted flour and the salt. Roll into walnut-size balls and place on the prepared oven tray, allowing room for the biscuits to spread a little. Place a blanched almond on the top of each biscuit. Press almond slightly into biscuit. Bake in preheated oven for 10-12 minutes or until lightly golden. This entry was posted in Biscuits & Slices, Sweet Things and tagged Butter and cinnamon biscuits, Butter biscuits, Butter cookies, Margaret Fulton, The Cookbook Guru by Glenda. Bookmark the permalink. Hi Moya, yeah burnt butter does sound weird. I’d never heard of Margaret Fulton but it sounds like she’s our Betty Crocker. I’m not even sure that Betty Crocker was a real person but the cookbooks were a staple for those learning how to cook. Of course The Joy of Cooking became a staple for everyone too but they were always considered the gourmet meals while Betty Crocker tended to be the basics. The biscuits look great though! I am a bit young to have been influence that much by Margaret Fulton. My mother certainly was. Burnt butter, hmm, love the idea of that. 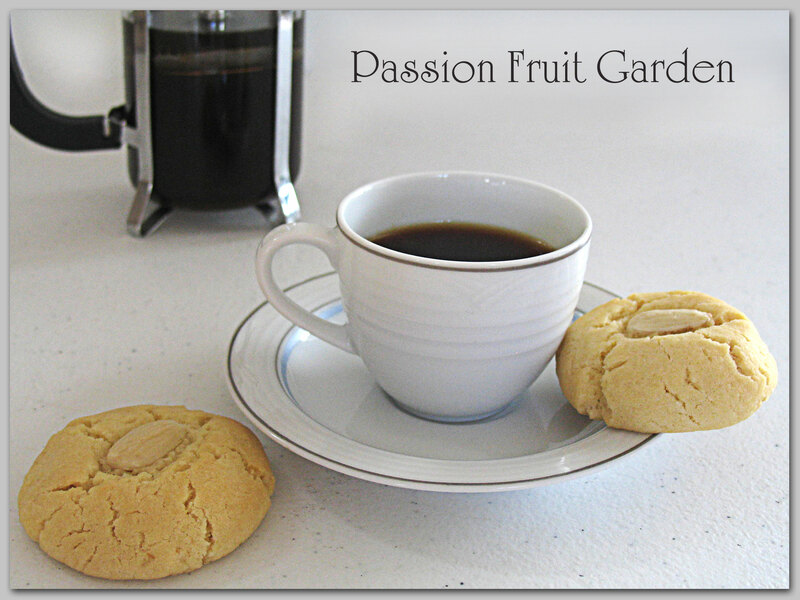 Glenda has shared with us a divine looking biscuit from her favorite collection discovering along the way that it may well be Margaret Fulton recipe that’s she’s been cooking all these years. Making sure you check out the post and these beautiful buttery looking bikkies. Very similar to my basic butter biscuit recipe except for the butter is melted in a saucepan rather than softened. The addition of the blanched almonds makes these appear quite elegant. I remember these biscuits fondly. You scored well over your lunch break. Francesca, I would say I hit the jack pot for a second hand book shop. Oh, one of my favourites… I used to bake these for my children when they were tiny, all the way through to high school and beyond. My Peter loves them too! Thanks for prompting me to made them again! Hi Liz, they seem to be everyone’s favourites. So tasty yet so easy to make. Yum! I make my Mum’s recipe for burnt butter biscuits, but chances are it came from the Women’s Day when MF was food editor as it’s pretty much the same. I know they’re delicious…..